Patna: Plans are afoot to use drones for collecting authentic data about cropped areas in Bihar to help farmers in case they fail to cultivate seasonal crops due to some reason. These flying machines will also help the agriculture department cross-check data provided by field officials on the basis of which decisions are taken. 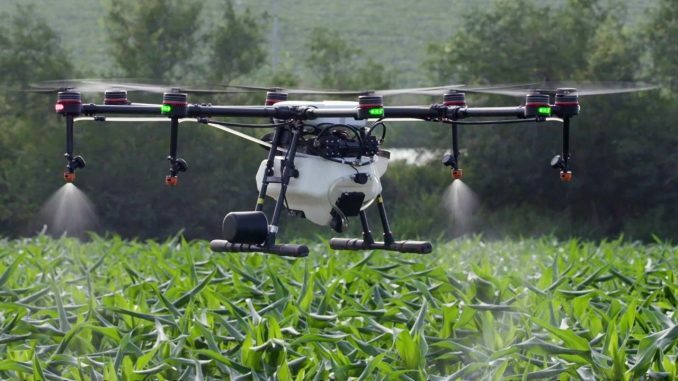 This kharif season, the agriculture department started using the drone of the Bihar Agriculture University, Sabour, to cross-check crop coverage data in two blocks each of Nawada and Jamui districts. Field reports had suggested that in 29 blocks of seven districts of the state, the crop coverage was less than half the target and in some blocks, it was less than 20 per cent. Based on these reports, the Pakribarawa and Kashichak blocks of Nawada and Aliganj and Sikandra blocks of Jamui districts were selected for cross-checking the field data by using drone survey. “The drone survey outcome suggested that the field reports were correct. Now, farmers of the blocks, where crop coverage area is below target, will be provided with seeds of alternative crops so that they can cultivate something in their fields before the rabi crop season,” an official in the agriculture department told The Telegraph. The agriculture department has arranged 3,200 quintals of maize seeds, 7,465 quintals of pigeon pea seeds, 1,706 quintals of black gram lentil seeds and 1,050 quintals of kulthi bean seeds to help tillers with alternative crops in case they cannot go for regular cropping. He said the department has asked Bihar Agriculture University to submit a proposal for purchasing one drone each for all its agriculture colleges so that the same could be used for similar aerial survey of different areas of the state. Apart from the agriculture college in Sabour, the university has agricultural colleges at Dumraon (Buxar), Noorsarai (Nalanda), Purnea, Kishanganj and Saharsa. “At present, the university has just one drone. Once all the colleges have one each, the department would be able to cover wider areas,” said the official and added that as soon as the proposal in this regard is received from the university, the department would start working on it so that funds could be released at the earliest for purchase of drones.